Our NXT-W2 work machines are really gaining traction in the market since their release earlier this year. The completion of this Gel powered NXT-W2 gives you an idea of just why they are so popular! This beast turned out amazing, it not only looks awesome but it is truly a workhorse! The silver touches compliment the blacked out look perfectly! A shot from the front of this beast! 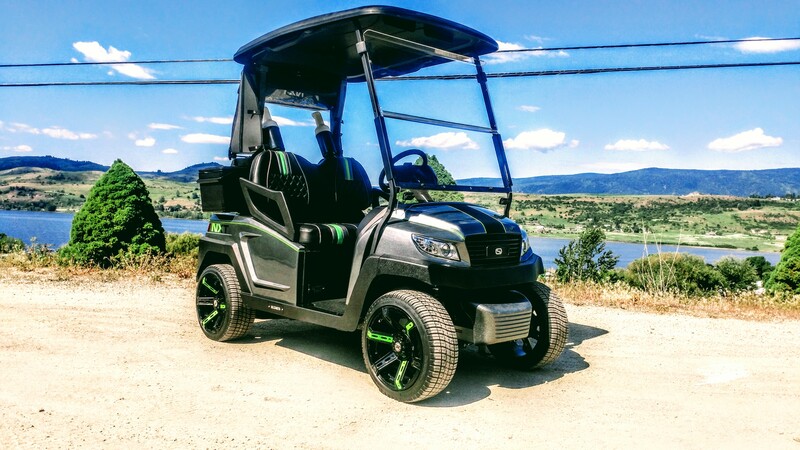 This is one sick looking electric work cart! Check out part one of how this beast came together right here!